Ernie Els Wines: Ernie Els - The Big Easy Red Magnum (1.5 Liter) Ernie Els - The Big Easy Red Magnum (1.5 Liter): The Ernie Els Big Easy Red shows focused blueberry aromas with caramel and a light spiciness. 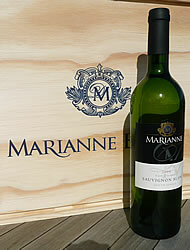 On the palate it is very balanced and has beautiful tannin integration with great depth. Obvious dark berry flavours are infused with a chocolate cake feel and a hint of mocha from the oak. The finish is long and fruity. https://www.weinbaule.de/big-bottles-ernie-els-the-big-easy-red-magnum-liter-p-1823.html?osCsid=b8735a021f88dbcd54161b6fe5cc2031"> Wine 35.99 6009807940698 WeinBaule.de | The Home of Wine Ernie Els Wines New In stock!